A century later, Heidi Lane receives a troubling letter from her mother–who is battling dementia — compelling her to travel to Pleasant Valley for answers to her own questions of identity. When she catches sight of a ghostly woman who haunts the asylum ruins in the woods, the long-standing story of Misty Wayfair returns–and with it, Heidi’s fear for her own life. I first discovered Jaime Jo Wright last year when my book club read The House on Foster Hill — a unanimous thumbs up from the group. After reading her sophomore offering, The Reckoning at Gossamer Pond, it became apparent that Wright would become a must-read author. 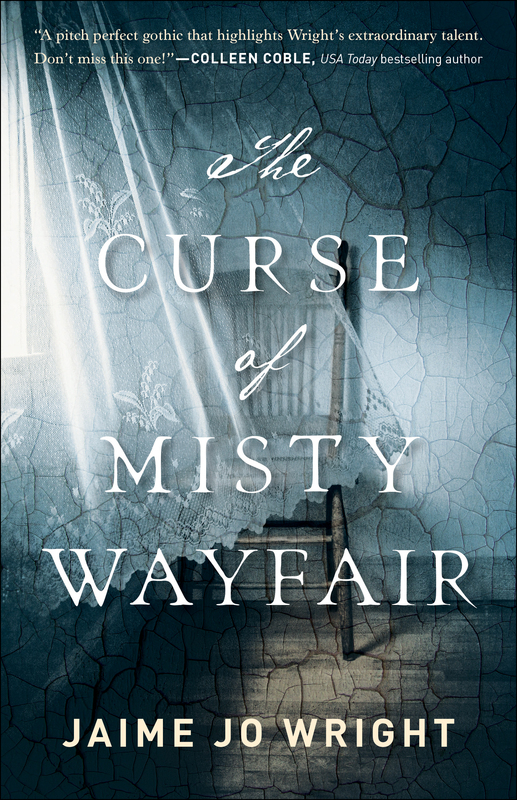 The Curse of Misty Wayfair, another dual-time line suspense with some serious creepiness, has confirmed it! If you like suspense, mystery, a bit of romance, and some really weird goings-on, you will love this book. Another 5-star read from this talented writer. The legend of Misty Wayfair has been circulating in the town of Pleasant Valley for over 150 years. Each successive generation in the Northwoods of Wisconsin has added to the myths, while speculating on who she was and how she was murdered. Her haunting of a local family has led to even more gossip and innuendo — just what were the Coyle’s sins? And while the details are lost in the murkiness of time, Misty never forgets! Two women strive to uncover just who Misty Wayfair is, and why she is tied to each of them. Both Thea Reed, who in the early 1900s has the very interesting (and creepy) job of photographing the dead, and Heidi Lane, a modern-day woman with anxiety issues, are tied to the dead woman, though neither knows how. Like Misty, they feel identity-less, one an orphan, another a misfit in her family. In fact, identity — what it means and who (or Who) establishes is it — is the underlying theme of the novel. Wright beautifully expresses the concept of a Creator who gives each of us a unique identity because of who He is, not who we are or what we do. As Thea and Heidi search for answers to the mystery of Misty Wayfair, they come to understand more about themselves and their relationship to a God who loves, cares, and provides. There’s another message in the novel concerning the identity we assign to others. A number of labels are given to past and present characters — melancholic and crazy just two. While many of the characters suffer from maladies of the mind, I found myself thinking that while convenient labels may explain what a person is going through, they do not define who that person is. Wright gave me a lot to think about. As one character states — Beautifully and wonderfully made. No exceptions.By The way, secondary characters shine in this novel. The Curse of Misty Wayfair can be described as atmospheric, but I think I prefer just plain creepy (there’s that word again), but creepy in a good way. There are no graphic scenes involving knives in a shower, but the chills continued to run up and down my back. I puzzled and puzzled, and was pretty much wrong about many of my suppositions. That’s a big plus! I love to be surprised by twists and turns, and this book did just that. My book club will be discussing The Curse of Misty Wayfair later this year. I cannot wait! I anticipate some really good conversations. I also CAN. NOT. WAIT. for another book by Wright. 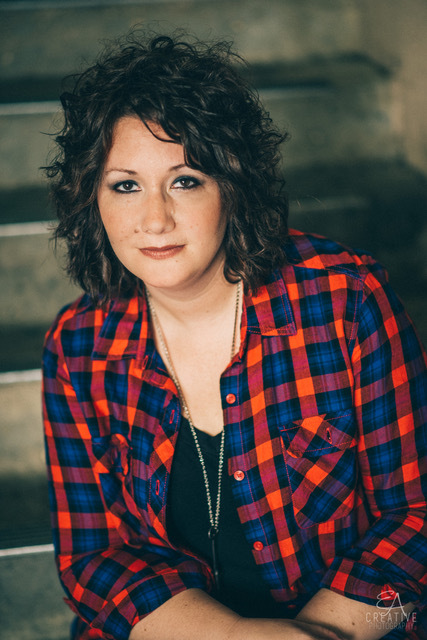 ← Show Up for Your Life Blog Blitz! Wonderful review. I have seen many positive reviews on this book and the author. I will have to see if I can find a copy.